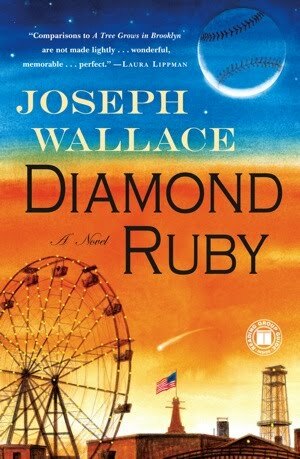 I am just starting Diamond Ruby by Joseph Wallace. I've seen it on a couple blogs and it sounds like fun. Also, it counts as a "gem" book for the What's in a Name Challenge. "Ruby Thomas had never seen anything as beautiful as Ebbets Field, with its brick exterior and half-moon windows that reminded her of slices of jelly candy." I like the sound of this sentence. I am not a huge baseball fan, but I do like sports fiction so I think this will be a fun one. Could it be anything like "A League of Their Own"? That's a really beautiful sentence! I haven't heard of this title. I may need to check it out! 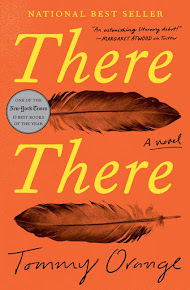 I don't know this book at all and haven't read any sports fiction before. Perhaps I need to as I am also completely and utterly clueless when it comes to baseball. A lovely cover though! I have no idea what the book is about but the beginning sounds very descriptive. I like it, too. It was a fun girl power/historical fiction read. 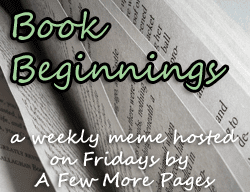 Aths, Bev and Rikki--I liked the beginning too, I just haven't had any time to get past the first sentence! Booksnob--Glad to hear you really enjoyed it, that gets me even more motivated! Yikes--I just found this terrific blog...and this post. 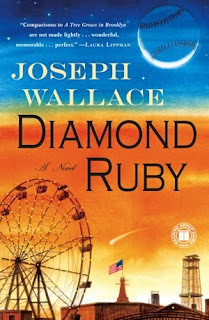 As the author of Diamond Ruby, all I can say is, Glad you all liked the first sentence! :-) Hope you like the rest too.